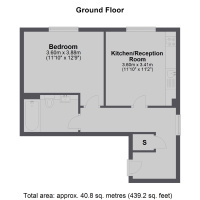 Jacksons | 1 bedroom property to let in Lewin Road, Streatham - £1500 pcm to find and add some properties. A development of five modern apartments located in the heart of Streatham in excellent condition. Lewin Road is a wide tree lined street in the heart of Streatham within moments of Streatham Common and the Rookery Gardens with excellent transport links in to Central London from Streatham Station or Streatham Common Station which are both close by.